How I Took a Year Off to Breathe…and to Travel! – Where is Shyamni? How I Took a Year Off to Breathe…and to Travel! Unless you’re one of those very few people who actually follow my blog, then the only reason you are here reading this post is because you googled “how to take an year off”. I know it’s Friday afternoon and you have two tray-fulls of paperwork to file away, clean up your work station (yes other people can smell that decomposed apple core on your table!) and send off those last minute quotations that your boss asked you to but you can’t be bothered. 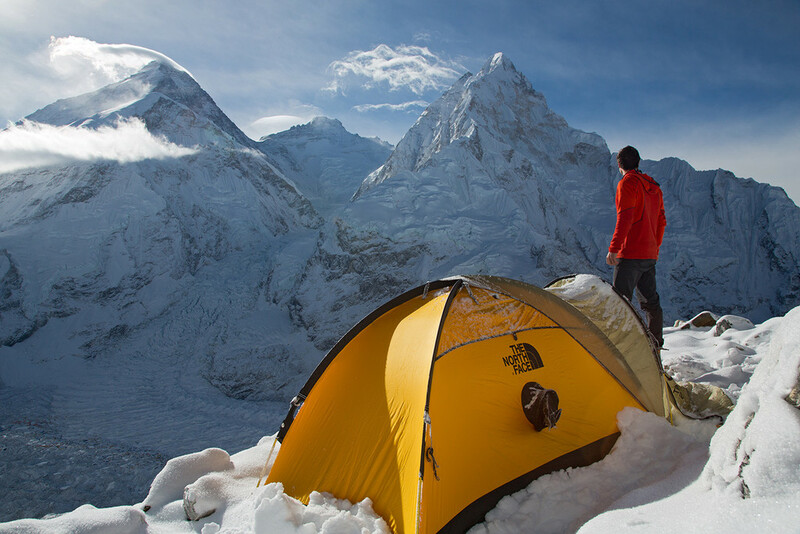 Looking over Everest, Lhotse, Nuptse at dawn. Photo: Alpine Exposures. I see you slumped in your chair, clicking through photos of awesome, random strangers in their Northface© jackets posing on some isolated hill mountain in Jungfrau. The corners of your eyes are slightly crinkling in annoyance at their faces flushed with a shade of pink that only total freedom to pursue any corner of the earth can bring out. On the next tab, you probably are rather sheepishly trying to google where Jungfrau is and how to get there and if indeed, you somehow miraculously made it up there – would you be as happy as those self proclaimed ‘travelers’ posing in those photos? I’m sure that by now you have also opened up a new window of your browser and quickly searched and selected a few from the hundreds of blog posts from people all over the globe glorifying their tales of how they ‘quit their jobs and traveled the world’. I am also positive that you’re already familiar with Twain’s “…sail away from the harbor” quote and the numerous ‘just pack and go’ advice. And while it all sounds so carton-able and pack-able and travel-away-able, the sheer magnitude to just leave everything you know behind to travel…is overwhelming. So much so that I know you’ll close off all your open browser windows in a minute and get back to your filing. How do I know this? I spent many a Friday afternoon doing exactly that. Taking a year off is something that is not done where I am from. Especially when you are a single female nearing your 30’s. It’s simply a concept that doesn’t exist. Wait actually it does but only for the bum sort of people. So you can imagine the mixed sort of reactions I get from people back home when I tell them I am currently on a year off just to-be and travel a bit! This post is a recollection of the past few years; How and what I did to take a year off to travel. I had just finished my final year at uni when my registration at an international NGO came through and I was to start selection training for international volunteer positions. Within the week I was to commence training, I was offered a senior contracts position in a building company in Sydney. At that time I chose career. A year later, I moved back to Fiji and dived straight into the highly volatile construction industry at that time. It took me several years to find my feet and place them firmly into my role. One thing led to another. Networking, short courses, new clients, getting involved in community projects, sitting on executive committees in associations. It all happened. As it’s supposed to. Not to mention family commitments; weddings, funerals, graduations. And I don’t know how but some eight years just flew by. And I kept waiting for the right moment or the right break in everything to take some time off to see the world. And that’s something, you must understand. There never will be a right time. I think what finally compelled me to take that step away was the realization that I was nearing my 30’s at a rapid speed and it wasn’t that I was getting old but the fact that I was reaching a stage in life where I just wasn’t going to hack dormitory accommodation and sleeping at airports so I had better start doing it soon unless I won the lottery and could afford first class travel! European Summer. 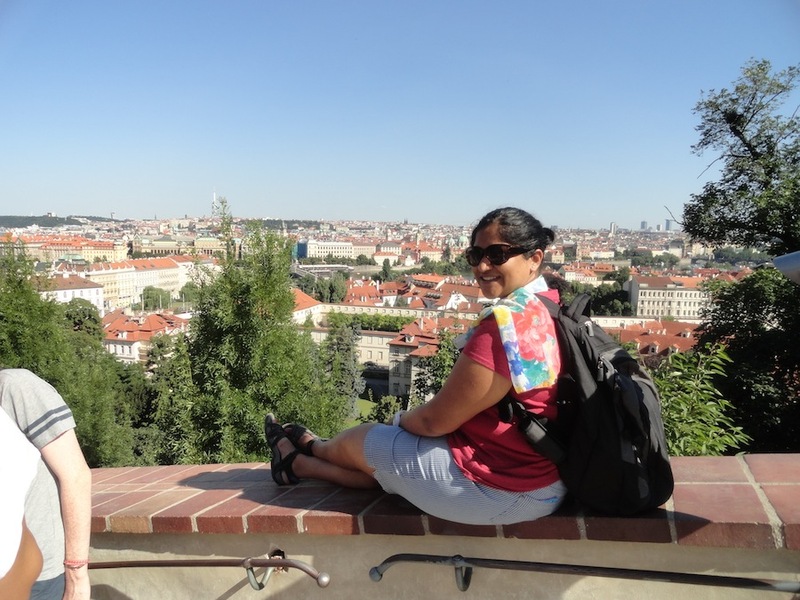 Overlooking the city of Prague. 2. THERE IS NO SUCH THING AS ‘JUST PACK AND GO’! Even to a lot of my close friends, my decision to go travel was somewhat a surprise. They think it was something that came to me one morning and that I quit my job by the same afternoon and bought a ticket out the next day! Umm..no. For me to actually do this, the time-frame between my decision to go and actually go was a good 10 months. Work responsibilities – I didn’t have a temp sort of a job where I could just walk out one afternoon. I had to work long hours to organize, train and hand-over my responsibilities to someone else. Getting rid of the unnecessary stuff – Read about my cleanup process <here>! Getting your family to understand – look my dad who’s about 66 and still goes to work every day just doesn’t get it still. I don’t blame him. That’s just the way it is. You’ll never actually earn enough money to have it all and then some, saved as your traveling nest and that one day you’ll hatch that egg and fly around the world. For a lot of people, this is probably the mostly perplexing question of all – How can I actually afford a year off? If you’ve seen or read Eat, Pray, Love (which I do love by the way) then you’ll notice how the issue of money has been sprinkled into the foods of Italy and humbled in the chants of India. There are no freebies being handed out in Indonesia that you could live off! Saving on the little things. Pre-rolled cotton balls – $8.39. 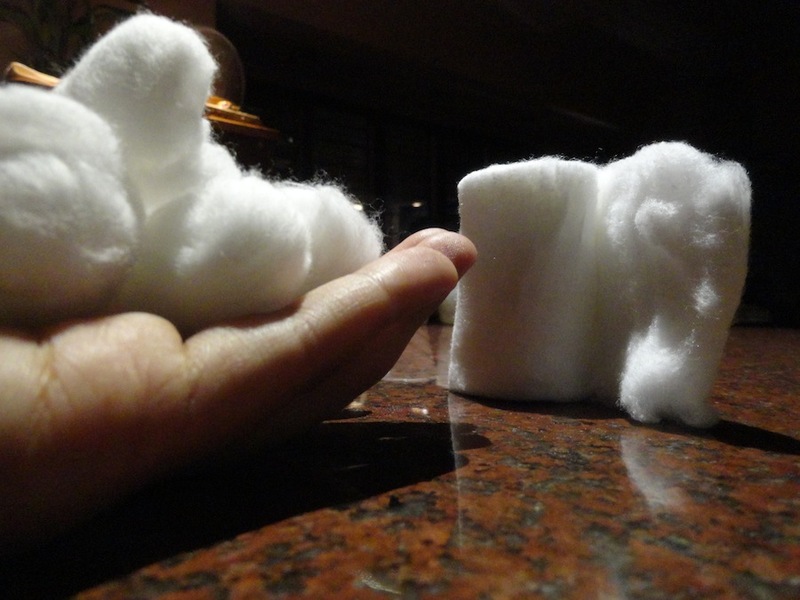 Roll of cotton wool – $1.49. Difference: $6.90 – a full-on veg thali in South India for lunch. Stop Drinking Coffee – Seriously. There was a smart article few months ago on how how Not buying lattes won’t help me buy a house and I agree a 100%. But it is enough to travel. I used to buy breakfast on my way to work everyday. Sometimes, I would drink up to 3 flat whites in a day. Doing the math – On average 10 coffees/ week @ $4.90 x 8 months = $1,568.00! That’s your airfare, right there! I stopped eating out a while back. DIY Manicures, Pedicures, Facials… – I am not going to put a figure to this one…Just do it yourself! No Shopping – Apart from the basic necessities, I don’t spend money on clothes at.all.these.days. For the past one year, I have been wearing $4 dollar t-shirts from K-mart and I’ve looked perfectly fine in them. Give up the Grog – In my late 20’s I got into a quaint habit of heading down to the bottle shops and picking out some new bottles of vino every week. That usually set me back a couple of hundred bucks per month. Ease off the alcohol and save up the cash. When you’re sipping wine in the cobbled streets of Vienna, it’ll be totally worth it! Use those Coupons – There was a time I wouldn’t be caught dead pulling out coupons in public for a discount. Well guess what? The savings on that coupon will buy you an amazing melt-in-your-mouth Fırın kebab in Central Turkey! Loyalty Programs – My frequent flyer points finally paid off. The little things – I made every purchase, a conscious decision. Even for the little things. Like taking advantage of toothpaste specials, you can never have too much toothpaste! But apart from the savings I did take with me, there was no way I could afford to travel for 8 months without any income. I did a short course, got certified and ended up teaching in Istanbul. Best.thing.I.have.ever.done. Over the several months I have lived in Istanbul, I met so many people from different walks of life. It allows you to experience another country and it’s culture from the inside, something you’ll never be able to do if you passed through as a tourist. Best bit about teaching while traveling – it pays! 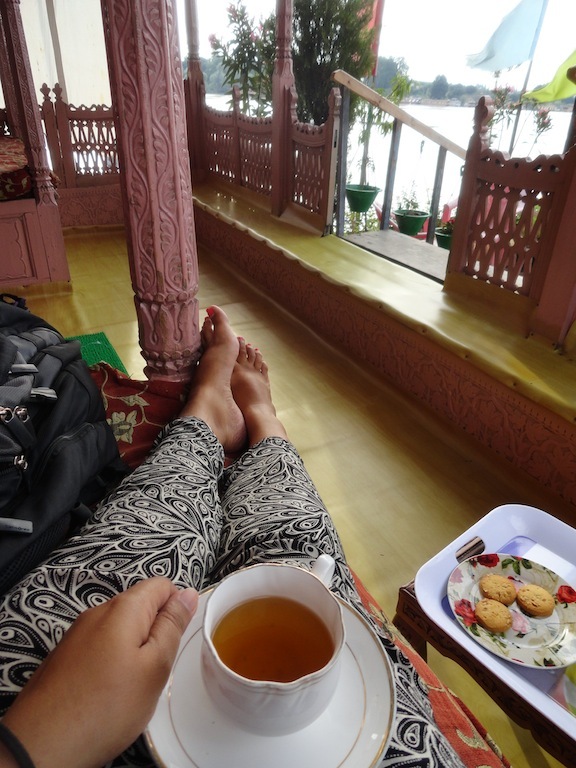 Drinking Kawa on a houseboat on Nageen Lake in Kashmir. Just as you have made the decision to go, wrapped up your work and partly packed your stuff, good things will start to happen. Nothing comes up in the past 2 years when you were sitting on your arse with all the time on your hands but they will happen just as soon as you have an air ticket! In my last week in the office, I got an offer to sit on the board a wonderful organization that I’ve always wanted to be involved in. I didn’t even express an interest but there it was! So sometimes you will have to leave the good things behind. And no matter how assured you are that you’ve made the right decision, that a slight regret will always be there. People will move on. Your friends won’t wilt up and die when you leave. They will move on. They will have awesome parties, some might have babies and some might move into better jobs. The positions you held will be quickly filled up in no time and you will be replaced. I’m sorry but you will be. And there’s no guarantee when and if you come back, you would be able to slot yourself back in the run. Not everyone will be happy for you. My best-est friend practically threw her chopsticks at me when I told her over a sushi bar that I was taking a year off to travel! Everyone wants to escape to bluer beaches and when someone does actually manage to do that, you can’t help but resent them. You must go anyway. Unemployed by choice will be seen as lazy. Well that’s none of your business, what others think of you. Practicing yoga in Istanbul, Turkey. Getting there! The places I’ve been to, the people I’ve met and the stories I have collected in the past one year…were things in travel magazines that I once used to sigh about. There’s nothing like a hike around the world; the trials and tribulations, the sense of accomplishment in reaching your destination, the time-outs along the journey, to make you comprehend that everything up till that point in your life that you thought was a big deal was in fact…nothing. “Travel makes one modest. You see what a tiny place you occupy in the world.” – Gustave Flaubert. You realize the positions, the offers, the awards, the failed relationships in the large context of things are not that important. The perspective one gains on life from travel is priceless. And Twain is right. You have to throw off the bowlines. I know what it is like to throw away everything you’ve worked so hard to build only to start over again. And that is the very reason why so many people won’t ever do this and that is fine. For many the contentment in their lives, from their work, from their families is probably more than enough and I understand. But for some of us, who still haven’t found what we are looking for, travel takes us there. And till such a time I decide to join the rat race again, I am very content in not having a permanent address. Thanks for reading! You don’t always have to travel to be happy. Just to realize that you need to take care of yourself better can be an amazing start! Sending lots of positive vibes your way. Right on sister! Such a pleasure to read. What an amazing and practical blog this is. You’ve done something that I’ve always dreamed of. Well done Sharon. Hi Shyamni, I found your blog searching for other bloggers writing about taking a career break, which is what I’m doing too this year. Very sound advice in this post! I’ve chosen not to travel for various reasons but reading about your trips does make me a bit envious. Good luck in any case! Hi Anne! Thank you for reading. I just had a read through your 183 days of planned bliss and now that is worthy of envy! To travel on a career break is not the only thing to do – the most important is to be still, breathe and just do what YOU really want to do. I wish you lots of positive energy! Hi Shyamni, loved this article! I’m planning to take a career break for a few months and your articles have given me a great idea of what to expect. So thanks for sharing and hope you are well. Hi Natasha. That sounds awesome! It’s the best thing I’ve ever done. If you haven’t yet, do keep an online journal or blog to document the time off – it’s kinda therapeutic 😀 Wishing you lots of positive energy!